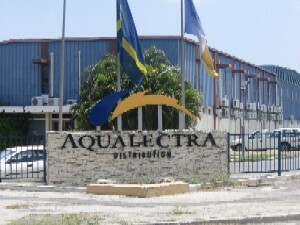 WILLEMSTAD - Aqualectra does not have to adhere to the rules for its staff, carried over from the old collective agreement, as was decided by the Court of First Instance in Curacao. On February 12, ​​the unions SEU, STKO and STK indicated that they will file a lawsuit against the utility company Aqualectra because the company did not comply with their promises made a year ago to increase wages and benefits. Aqualectra, through a letter, terminated the collective agreement with the Unions at the end of August 2013. The court ruled that the period between the termination and the signing of a new collective agreement is not a disenfranchised period in which the utility company may take unilateral decisions which are related to the terminated agreement. However, the judge did not consider sufficiently proved by the unions that Aqualectra is not facing a negative balance of 400 million which they must make a drastic turnaround.